SHREVEPORT, La. 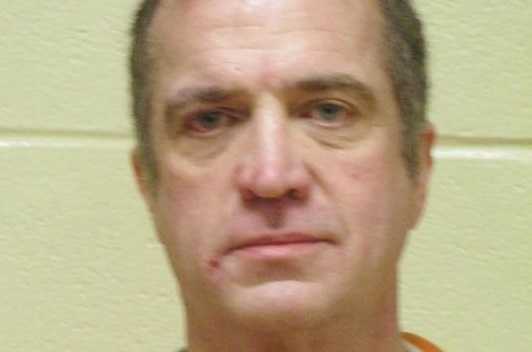 — A Louisiana pastor has asked his congregation for forgiveness after he was arrested Wednesday night for possession of methamphetamine, a drug that he said he wrongfully turned to in attempting to find relief from the pressures and pains of life. According to the Shreveport Times, during an unrelated investigation that did not pertain to him (the details of which are unknown), Harris, 56, told members of the Bossier Sheriff’s Office that he was in possession of meth. He let investigators search the parsonage, where 3.4 grams of meth were found, along with a device for smoking and a straw for snorting. Harris was arrested and charged with possession of methamphetamine and possession of drug paraphernalia, and was jailed on $5,000 bail. He also resigned from his position at the church, where he had been preaching since 1996. The Church of the Cross is known for its towering 199-foot cross, which Harris helped to establish. His members and colleagues expressed sadness after learning of his arrest, and his name was removed from the church website. A letter was read to the congregation on Sunday in which Harris outlined that the past few years of his life have felt like a “pressure cooker,” as he dealt with betrayals, a divorce in the family, the sicknesses of loved ones, and the daily challenges of serving in the ministry. He said that in the midst of all the pain he was enduring, he wrongfully turned to meth for solace. He asked those listening to pray for him and his family. Dempsey, being moved in reading the letter, said that the development had affected him deeply, but also warned those in attendance that none are above what had happened as all men are just one sinful decision away from destruction. View the reading of the letter here.